To provide a group setting for area musicians to express themselves; to create another source for the performing arts; to foster and encourage the study of music by our youth; to enrich the spirit and pride of the citizens and musicians of the area through public performance; and to add to the quality of life by making accessible and affordable performances appealing to all ages. Recognition that the orchestra is an educational and artistic experience. Encouragement of the growth in musicianship of all players. Affirmation of team spirit and cooperation among all members. Respect for individual members, treating each other with dignity and consideration. Promotion of the orchestra and recruitment of new members to participate. Development and expansion of an audience. Maintaining the highest quality of performance. Commitment to continued development and growth of the Symphony in the Valley, including musicians of all ages. The board recognizes that SITV is a volunteer organization and that our members travel considerable distances to attend rehearsals and have families and careers. The board also recognizes the importance of rehearsals and the participation of all members during these sessions. The artistic director establishes all rehearsal and concert schedules, including rehearsal times. If there is an emergency and the rehearsal or performance is canceled, the artistic director will contact the section leaders as soon as possible and they will in turn contact the members of their section. The orchestra rehearses every Wednesday evening from mid September through May (except holidays) in the band room at the Glenwood Springs High School. Rehearsals begin promptly at 7:00 p.m., and end at 9:00 p.m. Please arrive at 6:45 p.m. so you can warm up and be ready. Dress rehearsals run from 6:30 to 9:30 p.m. Attendance is expected and needed at all full rehearsals, section rehearsals, and concerts. Any member who must be absent should inform his/her section leader or the conductor in advance. This member is also responsible for getting their music to the rehearsal if it is shared with other players. If players miss more than two rehearsals prior to a concert, the section leader and conductor may review the status of the member. Prepare the music that is being rehearsed. In other words practice as much as you can. Be quiet when the concertmaster stands for tuning. When the conductor stops the music, stop playing and do not talk. Listen and mark your part accordingly with pencil. Practice courtesy and friendliness to all other players. After the rehearsal, please stay and help return the chairs to their original position. No eating or drinking in the band room, other than water. The orchestra librarian will assign music folders for each concert. Players are responsible for returning music at the end of each concert. If the music is not returned, the member may be asked to reimburse SITV for the music and any additional fees that may occur. Women: Ankle length black dress, or black blouse with black skirt or pants, black hosiery and shoes. Subtle jewelry is fine. Men: Black tuxedo or suit, white shirt, black bow tie and optional cummerbund, black socks and black shoes. Load-in: Please observe the requested load-in time for each concert. This will allow everyone time to get settled, arrange seats and stands and be ready for the pre-concert warm-up. Each orchestra member is entitled to two free tickets per concert. Guests should check in with the house manager before the concert. 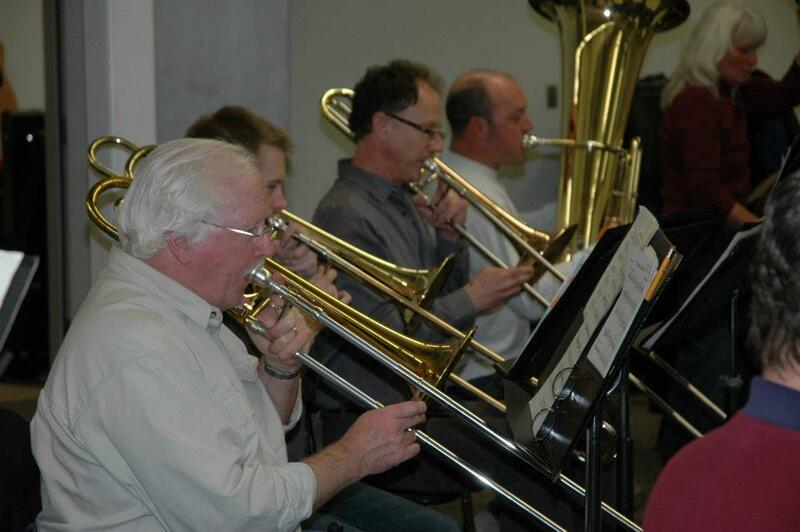 SITV is a volunteer organization and encourages members to volunteer to assist in orchestra operations. The board asks that each player, or a player’s parent, volunteer for at least one position during the regular concert season. Volunteer positions will vary during the year and members are encouraged to discuss volunteer options with any board member. See below for full calendar.